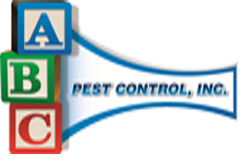 Bee & Wasp Expert Removal | ABC Pest Control Inc. Eliminating Bees and Wasps on your own can be dangerous, or even deadly. When you discover a hive or nest stay away from it, and please call the professionals at ABC Pest Control to eliminate this threat from your home or business. Homeowners attempting to control these pests on their own must make note that an Africanized Colony of bees can, and will, attack you when you try to control the hive without specialized clothing or equipment. Most people do not realize that an average beehive may contain up to 60,000 individuals. ABC has had the training necessary to eliminate these nests and is listed with the State of Florida as a specialized company that has the training to remove Africanized Bees. Please call and trust ABC Pest Control to safely, and efficiently, rid your home of bee and wasp infestations.